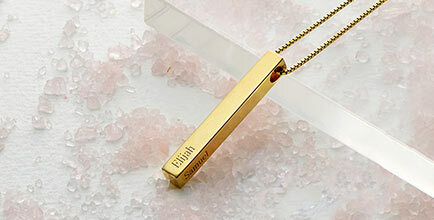 Diamond necklaces express your sentiments in classic style. Our Infinity Name Sterling Silver Diamond Necklace goes the extra mile with some beautiful, unique touches that convey your feelings while treating that special someone to a fashionable accessory that goes with everything. 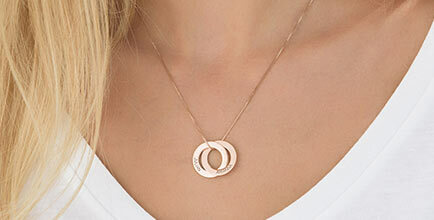 Made with gleaming sterling silver and embellished with your choice of one or two script-style inscriptions, the central pendant is suspended from a matching sterling silver cable chain for a beautifully balanced appearance. A single diamond adds the perfect touch of sparkle. 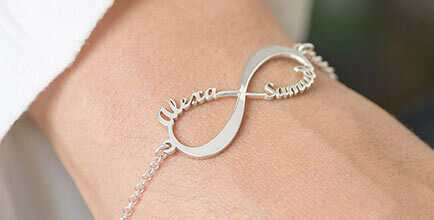 See our collection for even more infinity name necklaces to choose from! 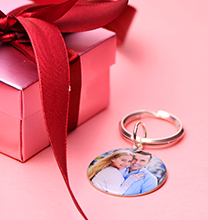 They’re perfect for holidays, anniversaries, and other gift-giving occasions. 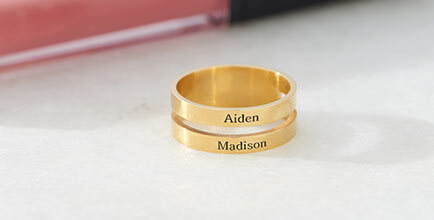 This item is also available in 18ct Gold Plating, 18ct Rose Gold Plating and 14ct Solid Gold.